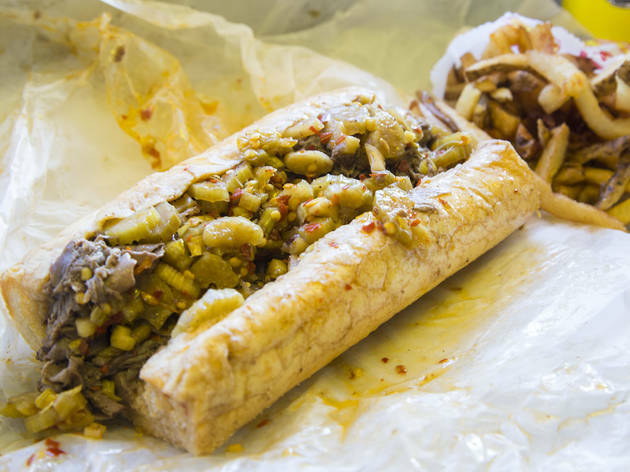 For 80 years, Chicago institution Al's Beef has been serving dry, wet and dipped Italian beef sandwiches that are among the most quintessential local dishes. Since being founded in Chicago's “Little Italy” in 1938, Al's Beef has expanded into a bonafide chain, serving Italian beef, hot dogs, burgers and more at restaurants throughout the city. 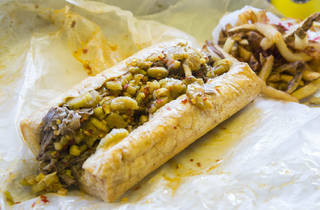 While there's plenty of great Italian beef in Chicago, Al's remains among the best. City Council is celebrating Al's Beef's 80th birthday by declaring October 18 “Al's Beef Day,” but you'll be able to join in on the celebration by taking advantage of a special anniversary deal. On Thursday, October 18 from 11am to 7pm, all Chicagoland Al's Beef locations will offer regular size Italian beef sandwiches for just 80 cents. For less than a buck, you can load up the sandwich with hot peppers, sweet peppers and your preferred amount of gravy. Remember, cheap and/or free food usually means long lines, so plan your trip to Al's Beef accordingly.